In fact, handled correctly your online reviews can become your most powerful tool for reputation management. Across industries, the customer has become more powerful than ever before. With that has come an increased demand for products and services that meet their tastes and expectations. The online review has emerged to become one of the most important channels for today’s newly empowered customers to decide whether or not to trust a business with their money, and sites like Yelp! and TripAdvisor, not forgetting the major social media sites (Facebook, Twitter and Google+, etc.) have specialised in giving customers the means to share their experiences. And what they say is not going unheard. Research shows that 72% of customers now trust reviews over supplier adverts – with nearly three-quarters trusting them as much as recommendations from their own family and friends. One difficulty for businesses is that there are so many review sites and discussion forums out there that it can seem impossible to keep track of what customers are saying. Yet four out of five of them will actually reverse a purchasing decision after reading unfavourable reviews – sales lost without the owner ever knowing why. It should now be clear to see why reputation management is important, but is it possible? Many business owners feel powerless to control online reviews or may have the attitude that their commitment to quality service and products will shine through. While there is a grain of truth in both of these mindsets, they illustrate a lack of awareness of the power of reputation management and the psychology behind online reviews. It’s true that you can’t control what people write about you, but you can influence its impact. 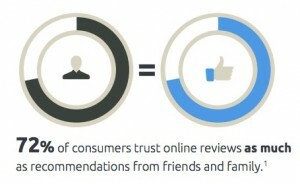 Research has shown that, on average, positive reviews outnumber negative ones by eight to one. With effective reputation management you can reduce the impact of the odd bad review with a wave of authentic, positive responses. Even negative reviews can be used in a reputation management campaign providing you with valuable feedback, awareness of ‘blind spots’ and the opportunity to publicly demonstrate a commitment to customer care. Despite all of the above, the majority of customers still do not leave any reviews, leaving a lot of scope for unlocking positive feedback with strategic reputation management. But how can that be achieved? Our Reputation management systems help you to guide customers towards review sites when they are most likely to have the spare time to write their feedback. They can also provide an easy option for customers to contact you directly rather than posting a negative review. Some businesses insult their prospective customers by buying fake positive reviews or attempt to damage their competitors by posting malicious reviews. Both of these approaches will fail in the long run because customers are sophisticated enough to look at the context of a review before making a decision. It has been shown that authentic and varied reviews collected using professional reputation management tools and techniques will trump empty five-star ratings and one-off negative rants every time. 360 Spin can help you with implementing the right type of reputation management into your business. 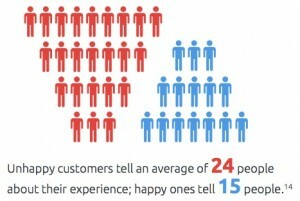 Do you know what your customers are saying? 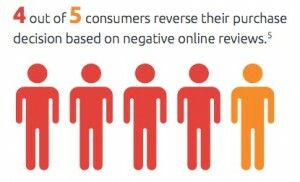 Negative Reviews can kill a business reputation. As much as personal recommendations from real people.